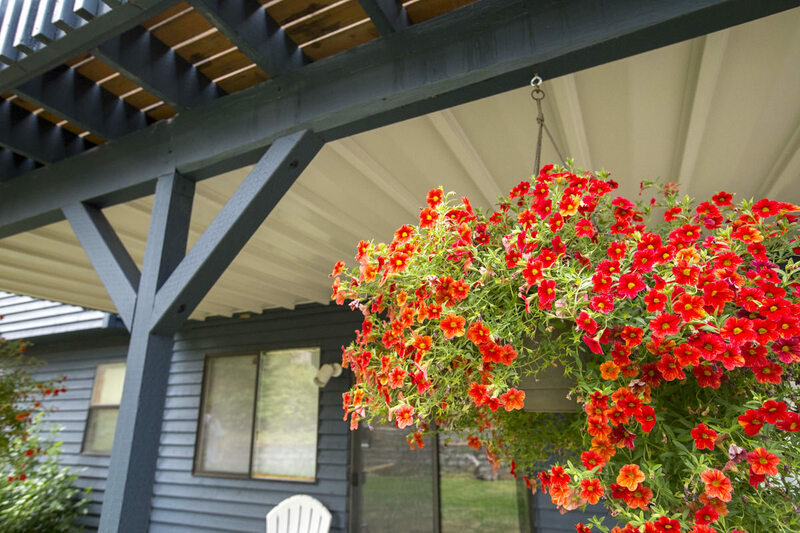 "This easy project brightened up an under-the-deck area and expanded the outdoor living space." 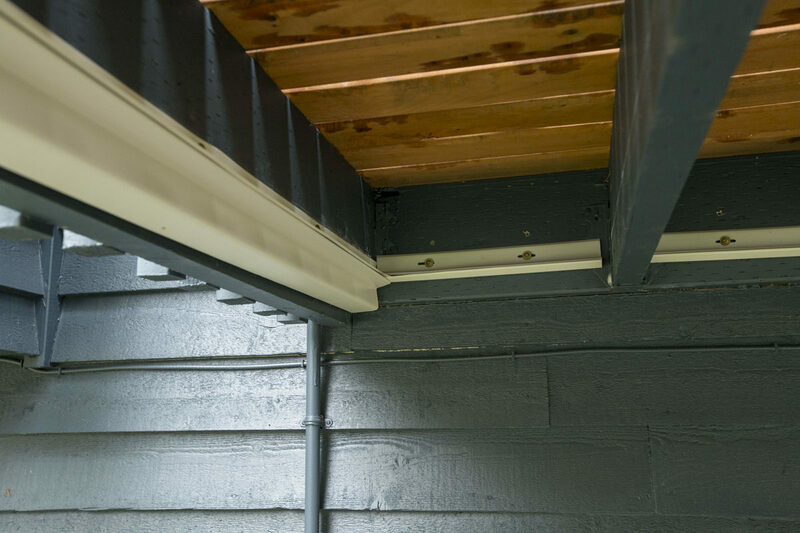 TimberTech DrySpace is an easy-to-install system of channels and panels, which divert water from the area under a deck while offering a bright, finished look below. We were joined on this project by Evan Schreurs, a representative for TimberTech. Evan was kind enough to offer some helpful tips (and an extra set of hands). 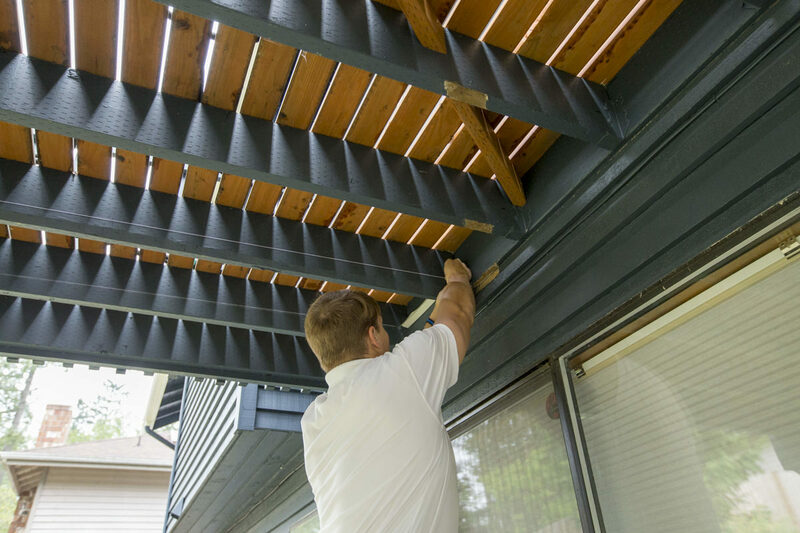 Many homes have a second story deck with usable space below. 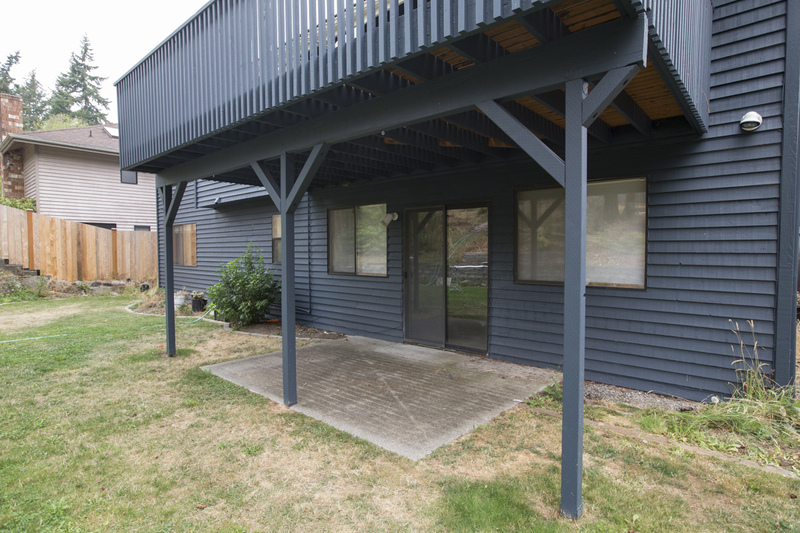 The home featured in this project, like many in our area, has a daylight basement with a sliding door opening to a patio located under the deck above. 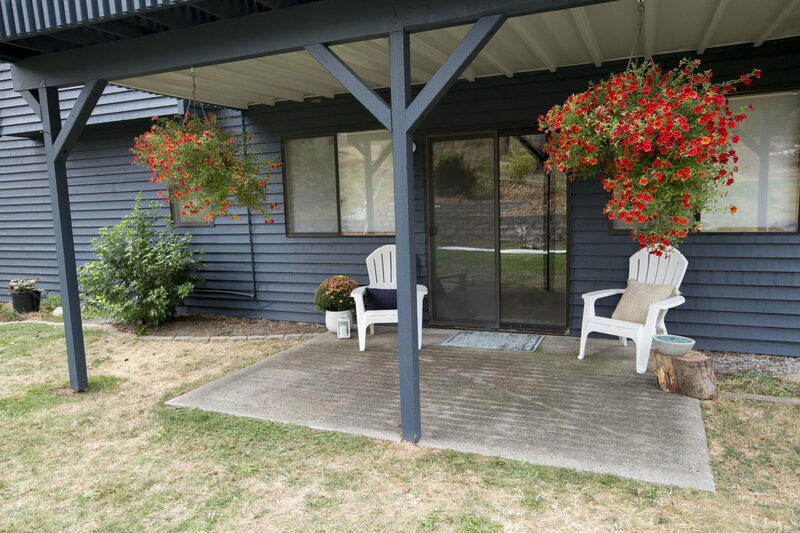 The patio is great in the summer—providing shade while connecting the ground-floor rooms to the backyard. But during the rainy season, the patio gets wet from all the rain dripping through the boards on the deck above. 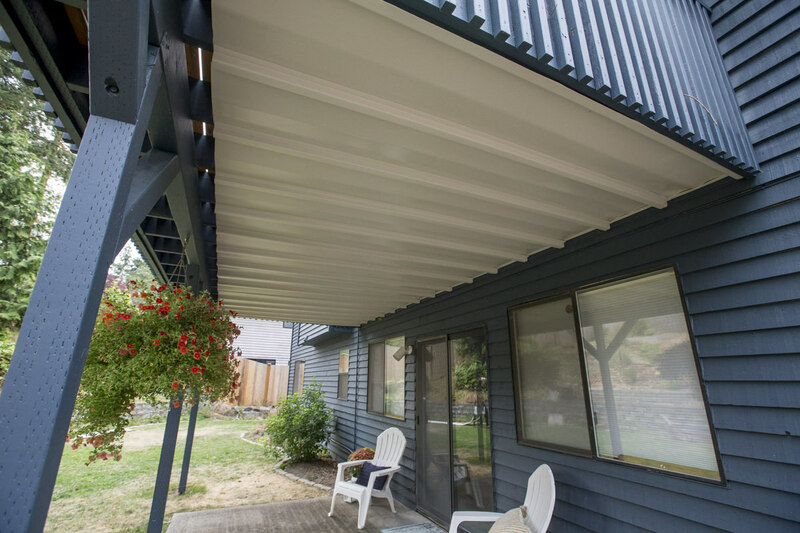 DrySpace creates a ceiling for the patio below, keeps the patio dry, and enhances a home's outdoor living space. 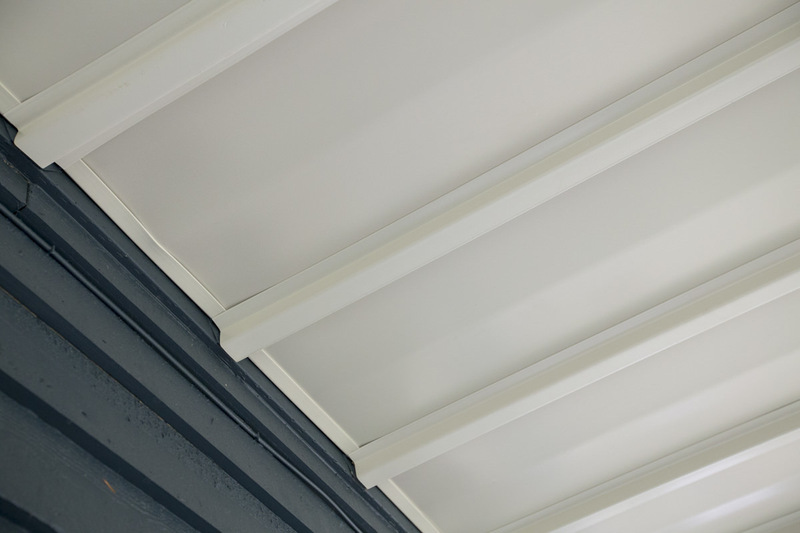 The white color of the DrySpace also brightens the area under the deck, much like a white-painted ceiling brightens an indoor room. 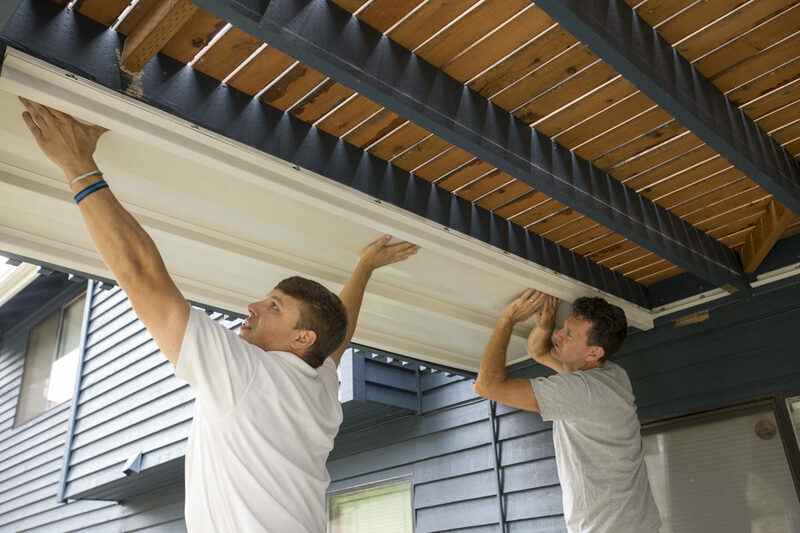 DrySpace comes in convenient kits and works on decks of different sizes, with deck joists spaced either 16" on center, or 12" on center. If the kits don’t fit your deck size perfectly, the components are available separately too. The ledger is the piece of lumber attached (parallel) to the side of the house. The joists mount to the ledger. The joists attach to the ledger (usually with metal hangers) and extend perpendicular from the house. The beam that holds up the joists, is placed a distance from the house, and is generally supported by posts. The run is the distance of the deck joists as they continue away from the house toward the beam that holds them up. 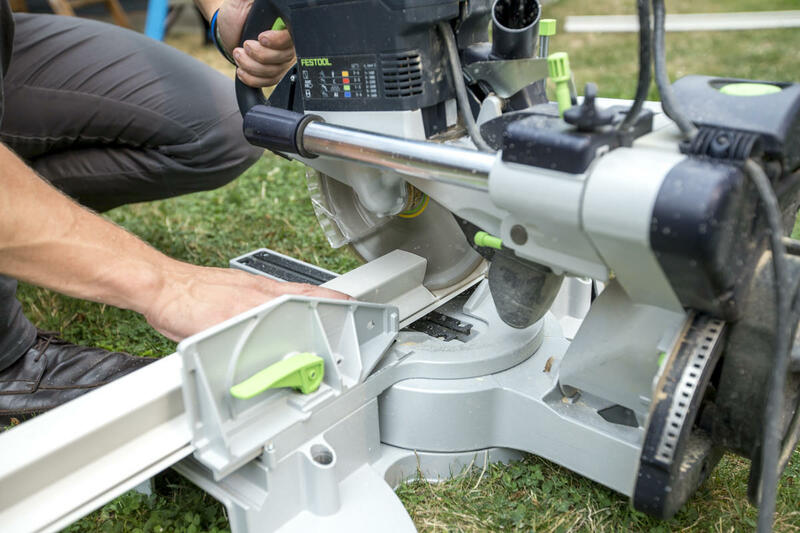 For a smoother cut, reverse the blade on a circular saw (or chop saw) when cutting combo brackets and ledger boards. Placing a piece of scrap 2x4 lumber inside a combo bracket will stiffen the bracket and make cutting easier. 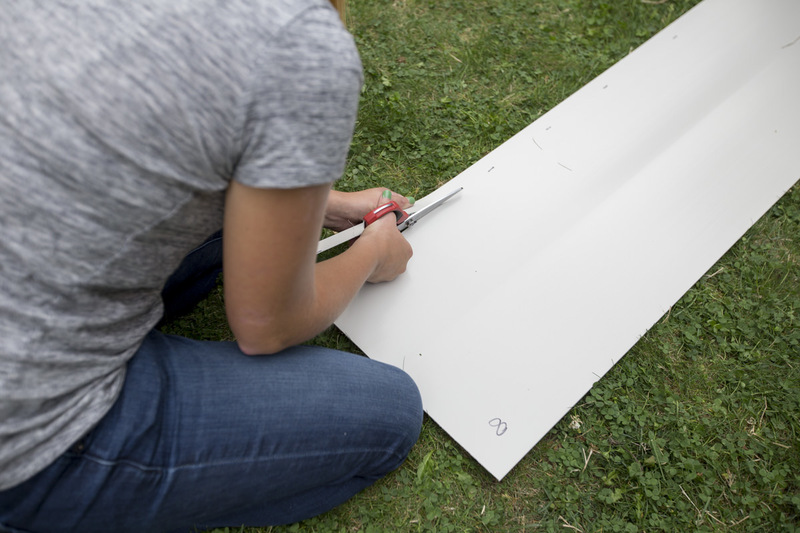 When cutting fins off of brackets (which may or may not apply to your space), score the plastic with a sharp knife and then bend back and forth to break it apart along the scored line. Cutting V-Panels can be done by scoring them as mentioned above, and we found Milwaukee iron carbide scissors worked too—and who doesn't want to use something with "iron carbide" in the name!? DrySpace requires 1/8” of pitch per 12” of run. Determine the distance (stopping 3” short of the beam) and determine your pitch. DrySpace is not only installed with a slope, but the V-panels move water to the center, so standing water is not an issue. 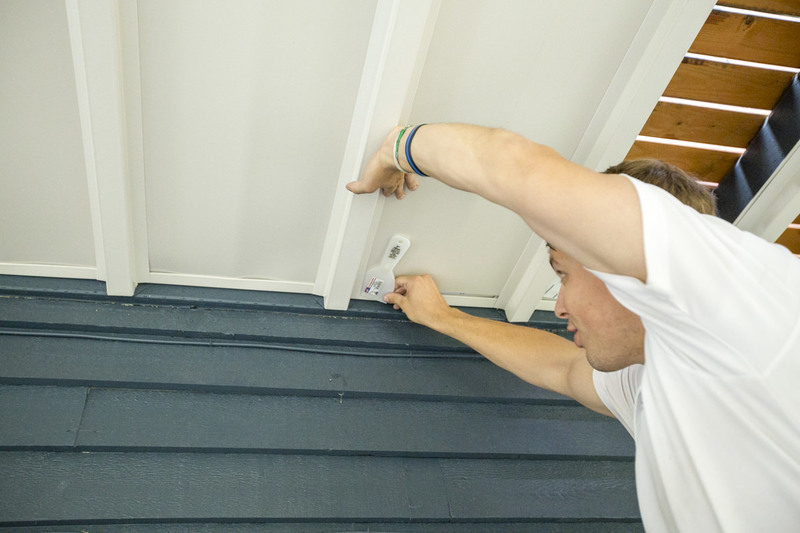 Using a helper, hold a combo bracket on a joist near the point where it attaches to the house. Now mark your lower point at a distance of 3” from the beam. 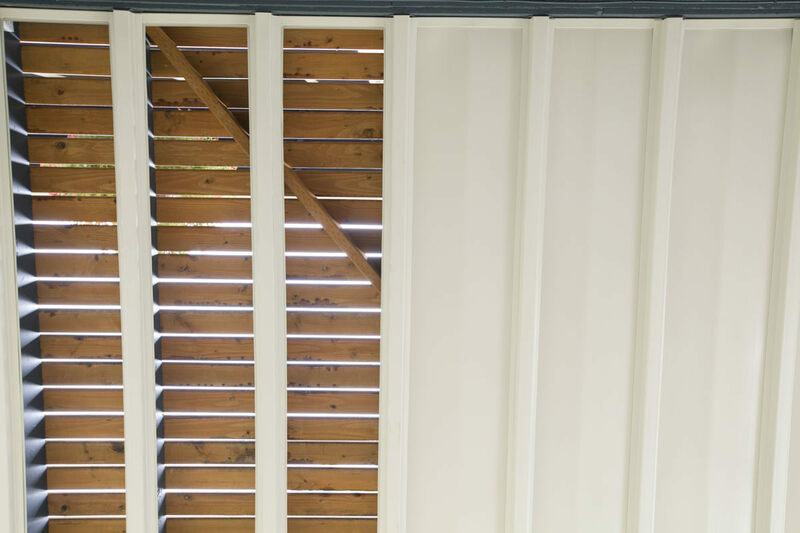 The 3” gap is an important component in keeping the space open to air movement, and should allow for necessary ventilation. 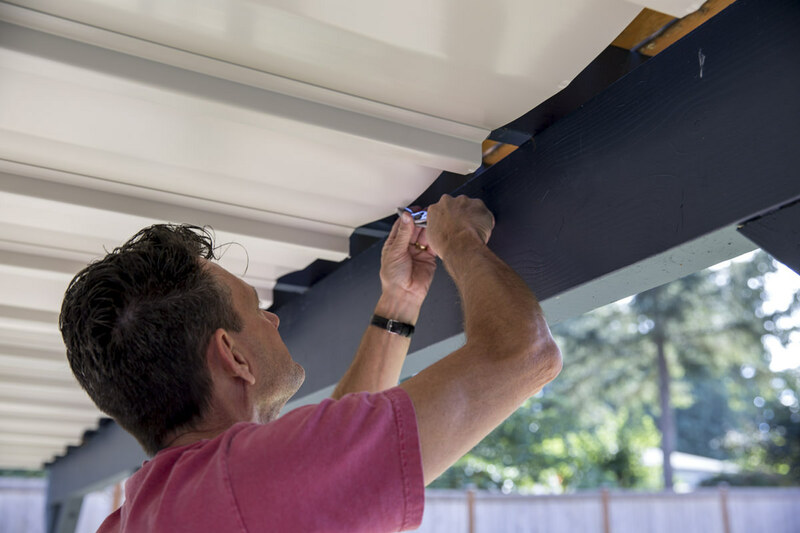 Remove the bracket and stretch a chalk line between the two marked points and snap the line, leaving a temporary slanted line of chalk which will line up the top of the combo brackets. Snap a line on both sides of all the joists. Cut the ledger bracket to lengths ¼” shorter than the distance between each joist. Don’t assume the spaces between the joists are identical. 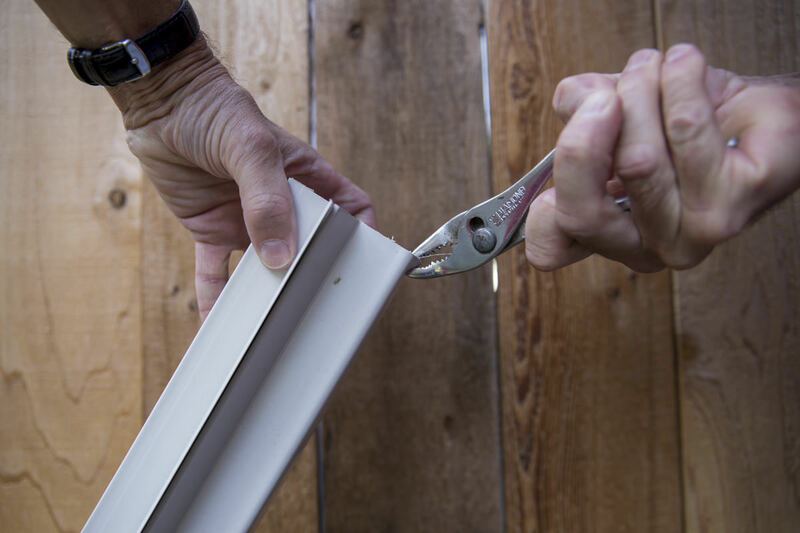 Locate the cut piece of the ledger breaker 1 1/2" up from the bottom of the ledger, and secure it in place with roofing nails or screws. Do not over-drive your fasteners; they should be snug but not so tight they warp the bracket. Cut the combo bracket to a length 4” shorter than your joist, as measured from the ledger out to the beam. The 4” will allow about 1” where the combo bracket meets the ledger bracket at the house, as well as 3” of space at the other end before the U-shaped combo bracket hits the beam. This 3" is necessary for water to drain out (and for proper ventilation). Align the combo bracket to your sloped chalk line, and nail or screw into place on both sides of the joist (using 1” nails or screws). Be careful not to over-drive the nails or screws. 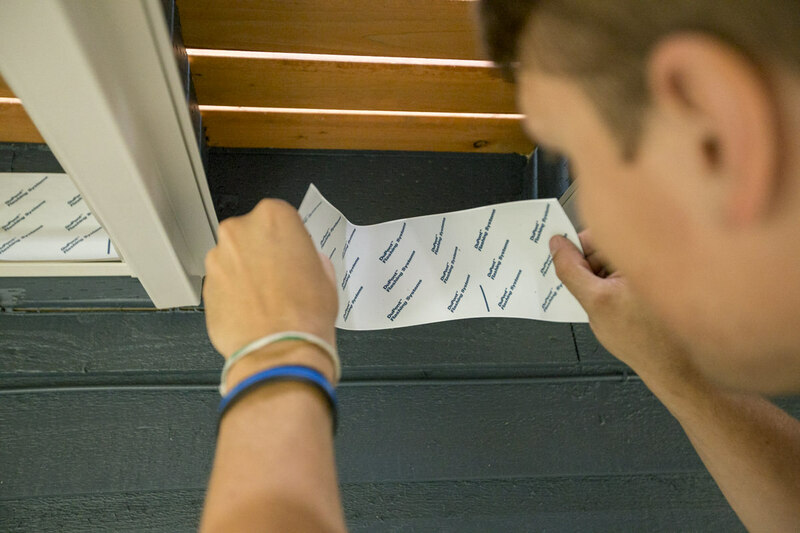 Once you’ve installed ledger brackets between each joist, and combo brackets on the bottom of each joist—it’s time to install some waterproof tape in the space between each joist. 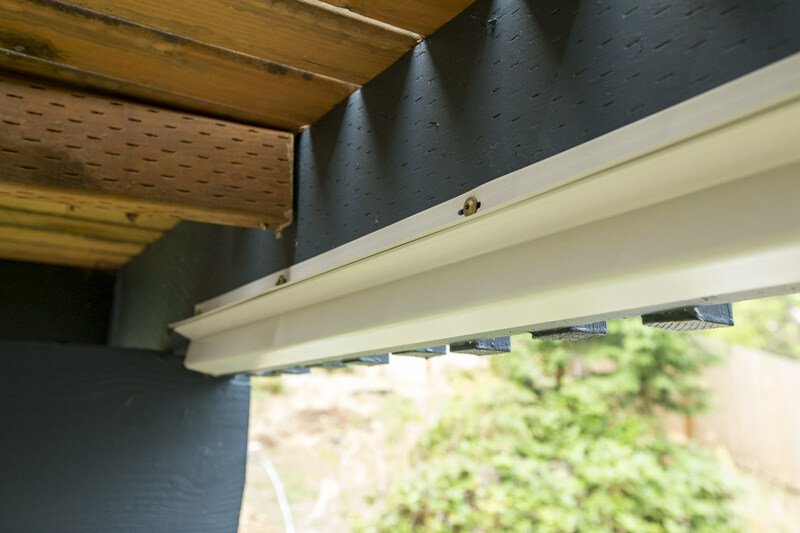 The goal here is to channel any water from the deck above into the DrySpace channels, while simultaneously covering the mounting screws or nails that secure the ledger bracket to the ledger itself. We used pieces of Tyvek flashing tape, which cuts easily with a utility knife or scissors. 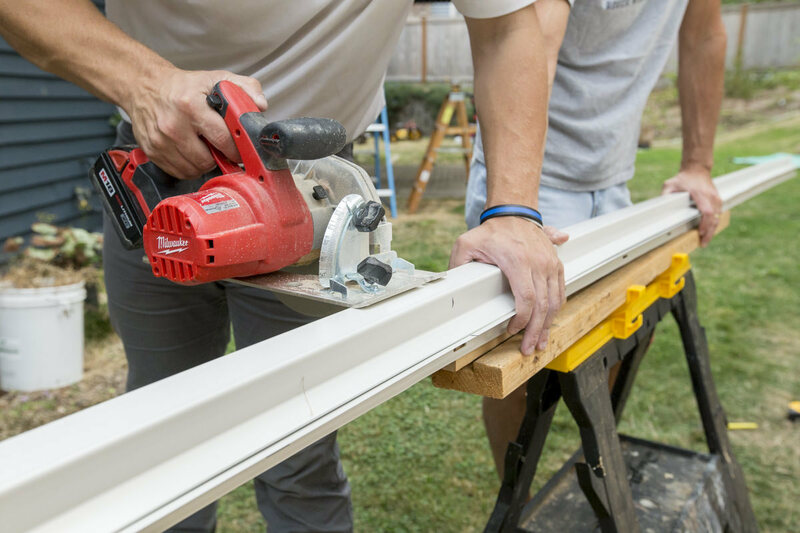 The V-Panels will likely need to be shortened to fit your specific deck’s under-framing. 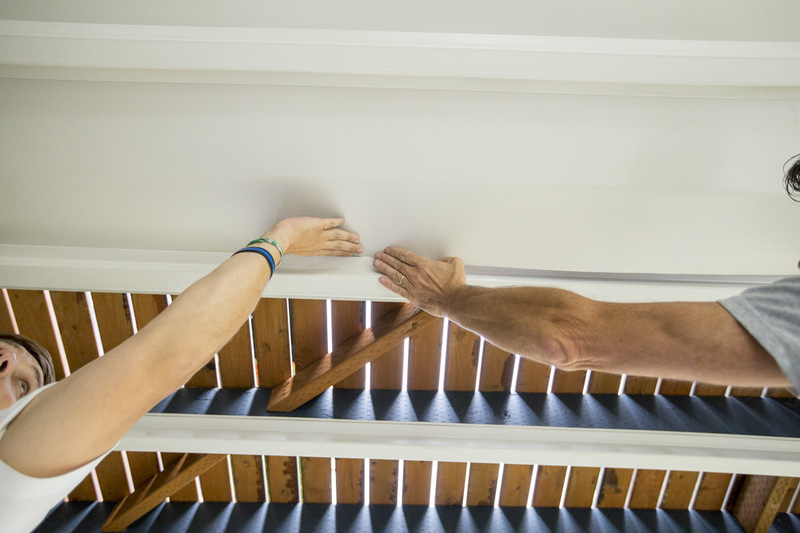 Measure the length of your joists to the beam, subtract 3" (for drainage and ventilation), and shorten them. Scoring your cut line with a knife and then bending it back and forth until it snaps works well. There’s a chance your V-Panels will need to be trimmed in width as well. This is necessary when the joist opening (distance between the joists) is less than 14 1/2". In other words, the V-Panels designed for joists that are 16” on-center will be too wide if your joist spacing is less than 14 1/2”. For such instances, measure the joist spacing, subtract ½”, and trim the V-Panel to that width. 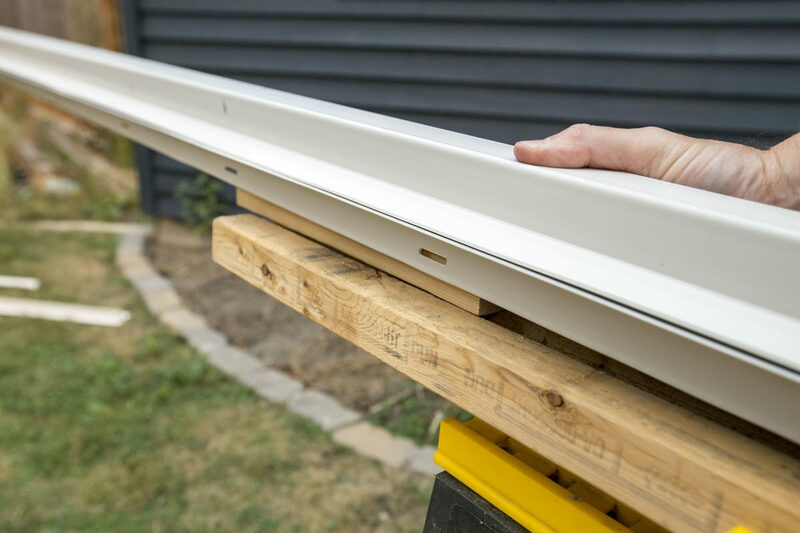 If your joist spacing is quite narrow (less than 12”) you’ll want to cut half the trimmed amount off one side and the remainder off the other so that the vee of the V-Panel isn’t way off to one side. Score with a sharp knife, and then bend back and forth or use heavy-duty scissors. Note: Do not assume your joist spacing is the same at both ends of your run. 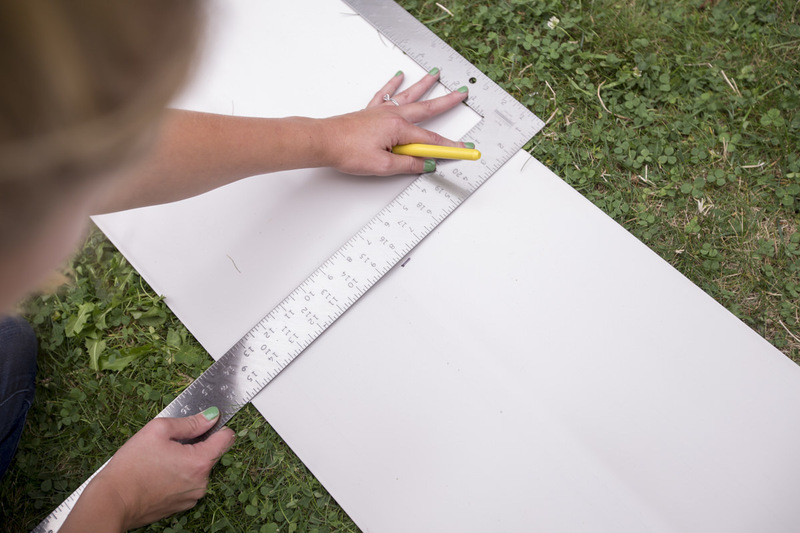 If it varies quite a bit, you'll need to adjust for this by trimming width at an angle. Otherwise it will be too wide or too narrow at one end. Install the V-Panels by first inserting one long edge between the fins of one of the combo brackets. Next, flex the V-Panel, and insert the other side into the neighboring combo bracket. Now you'll want to slide the V-Panel toward the house and engage it in the fins of the ledger bracket. A couple of putty knives will help keep the panel from jamming as it meets the intersection of the two brackets. Use a scrap of wood and hammer at the far end to tap the panel toward the house. As a last step, use pliers to crimp the downhill end of the V-Panels and the combo brackets. This is done so that water will drop from that point rather than wick backward along the bottom side of these components. Installation of DrySpace transformed this under-deck patio to a dry outdoor living space and created a finished look. 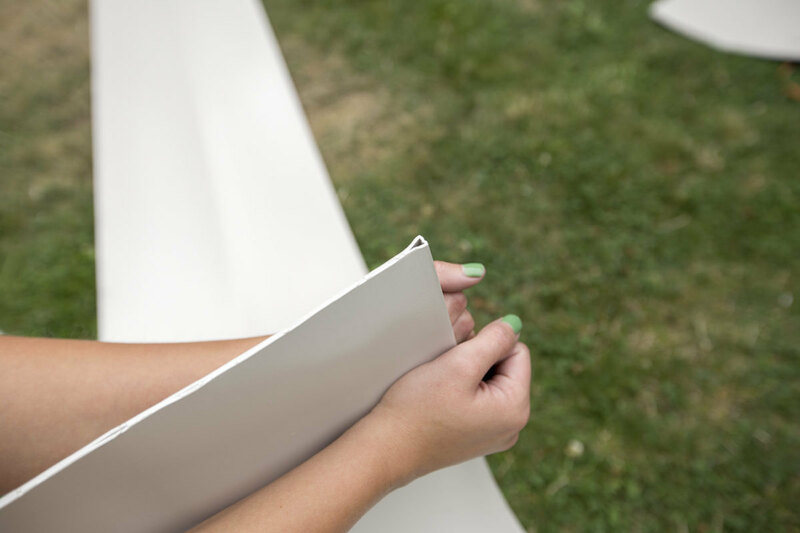 This easy project also brightened up the area—thanks to the white color of the panels. After you finish your installation, you might want to make a table top fire pit as a centerpiece to your newly enhanced outdoor living space. All that remains now is a gutter installation to catch the water DrySpace captures, which we'll post next week on Dunn DIY! 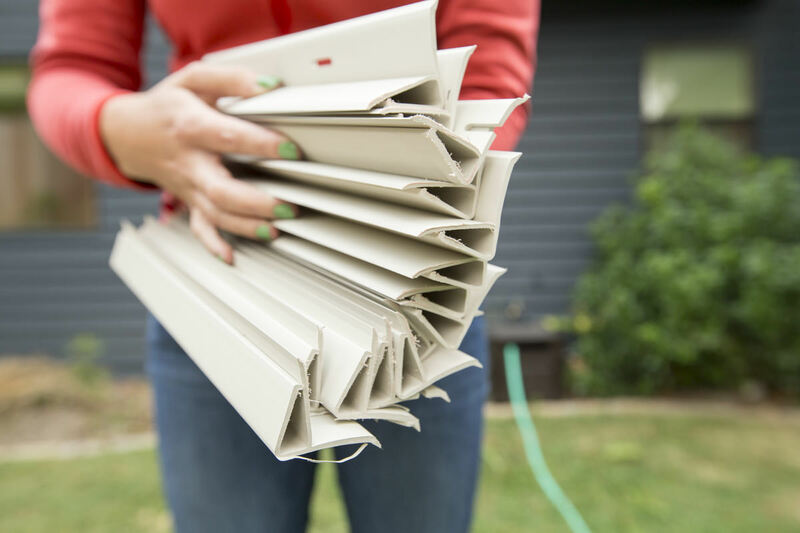 Learn how to install a gutter and downspout in our second and final tutorial in this TimberTech DrySpace series. Did you know you could grow 100 pounds of potatoes in just four square feet? Learn how with our potato planter tutorial. We've got a Crate & Barrel hack you'll love: a sturdy, big-beam nightstand at a fraction of the retail price!